We are excited to announce our (almost) Spring Admin Make Night. 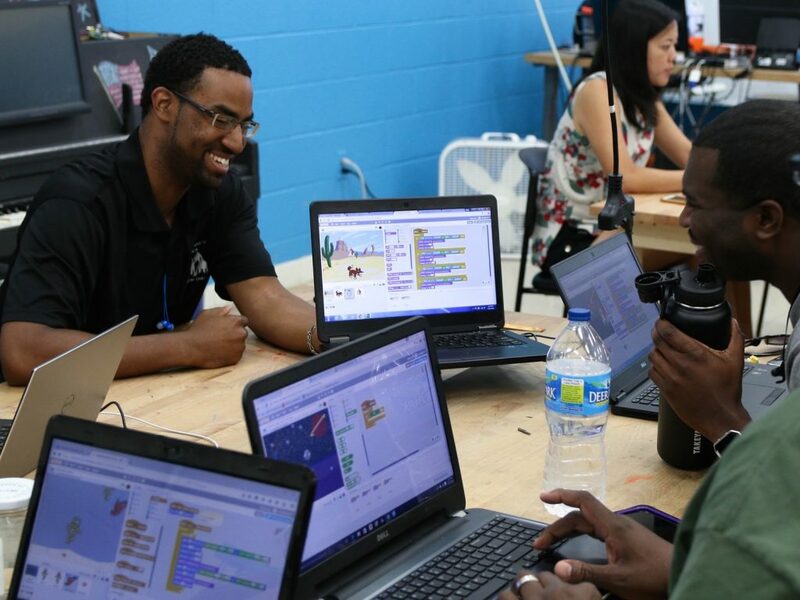 Created for principals, assistant principals, and district administrators, the DHF Admin Make Night is designed to allow administrators to have fun and create with the STEM & Maker tools that are being made available to their students. 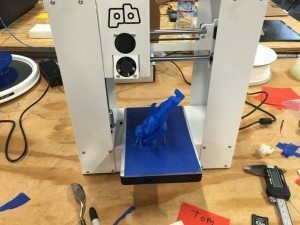 Try your hand at 3D printing, program a simple device, and build an interactive computer game from Scratch. Get to be a student for an evening, and get ready to MAKE this semester great! Bring Your Admin – Stay to Make! We’ve had a couple of teachers ask if they could attend this administrator focused event, so we’ve decided that if you can bring along your Principal, AP, or county level administrator, you’re welcome to join! Be sure to RSVP for yourself and your admin guest at the link below. 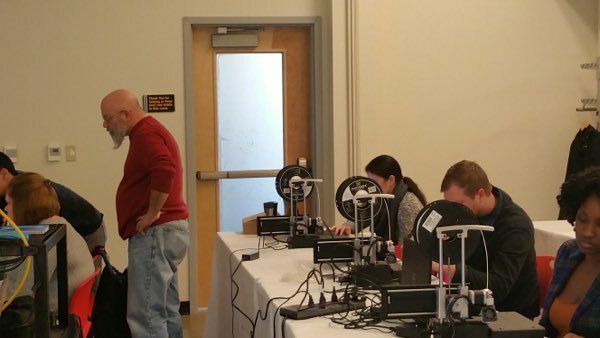 In March we had the opportunity to provide our 3D Printing for Educators workshop as a kickoff for the first ever FabSLAM in Pittsburgh! Given that the 2016 FabSLAM theme is cities, it’s fitting that Digital Harbor Foundation has expanded FabSLAM beyond Baltimore. We were thrilled to help build the capacity of the coaches who will be forming and leading teams through the FabSLAM design and fabrication challenge. From the first moment that the eleven educators began their training, the room was buzzing with excitement and an eagerness to begin their FabSLAM process. 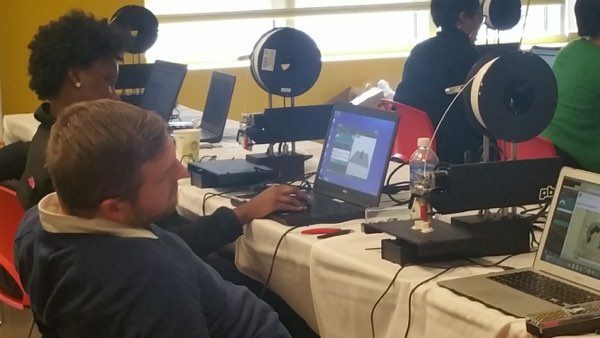 The theme of the challenge wasn’t unveiled until the third day, and the educators were on the edge of their seats until the moment of the big reveal. 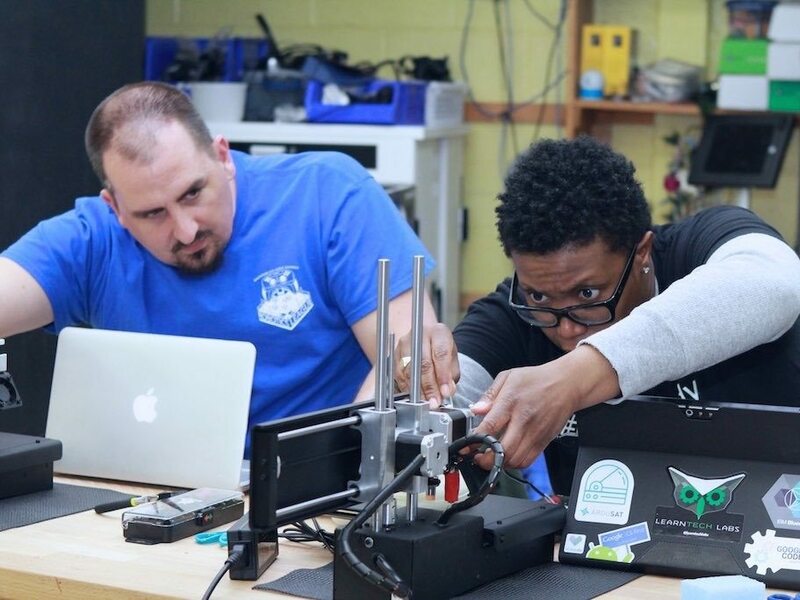 The educators were welcoming and passionate about the training that they were receiving and absorbed every aspect of the workshop from the 3D design challenges to the calibration of the 3D printers. Since they are going to be responsible for leading their youth cohorts through the entirety of the FabSLAM process, each attendee wanted to make sure to design and print as much as possible throughout the three day event. The educators were highly engaged and motivated as they navigated the interface of the design software and asked several questions while practicing some of the more advanced design tools and features that we presented. Their passion was evident as they made use of every spare minute to develop and practice their skills in order to empower and train youth. This especially came to the forefront when several educators chose to work through the lunch break, asking us questions as they anticipated potential issues that their youth may have while working on the design challenges. One of the designs that stood out the most for me was in response to the design challenge where they were tasked with creating an object that would clip onto the workshop tables. We didn’t provide the educators with the table dimensions before the project started. Instead, we passed a digital caliper around the room and every educator took turns measuring the height of the table’s lip. This process of precision measurement was new to several in the room, but they knew that since they would be asking their youth to be willing to step outside of their comfort zones during FabSLAM, it would be good for them to also experience some slight discomfort at attempting a new skill. I’m pleased to report that everyone successfully completed the design challenge and designed items that would clip onto the table. True to the spirit of FabSLAM and 3D design, there was lots of iteration that needed to happen. The most important part is that the educators were excited to learn from the mistakes and pass their insights onto the youth they’d be working with! It was an amazing experience to be able to take the FabSLAM program on the road and to work with such an inspiring group of educators who clearly demonstrated their energy and passion for youth development. 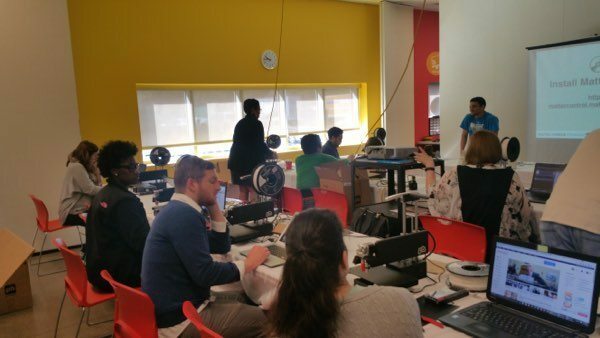 A huge thank you to Remake Learning who worked to bring FabSLAM to Pittsburgh, and to the Carnegie Science Center Fab Lab for graciously hosting the workshop. I look forward to seeing the projects that the Pittsburgh FabSLAM teams create! Have you heard? DHF is now operating in the early morning hours too! Our 3D Printing Field Trips are off to a great start. So far this season, we have welcomed in groups of upper elementary students and a few middle school groups. The youth have all been awesome and have had so much fun! 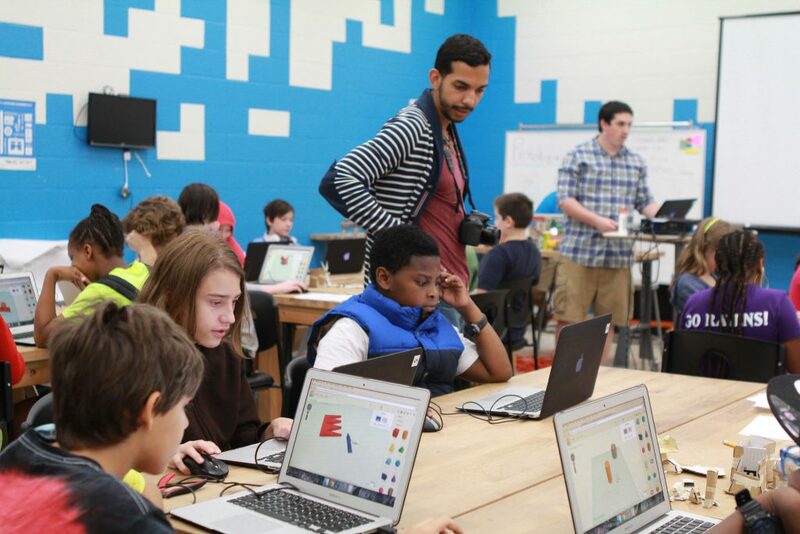 During field trips, youth are introduced to a 3D design program and guided through how to use that program to create their own designs for printing. 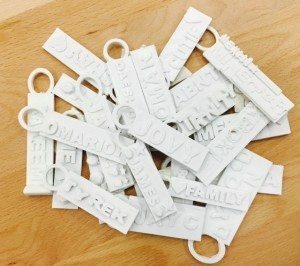 They use this tool to design their very own personalized keychains that they can take home with them. Youth also learn about how 3D printers work and how they are being used in various industries such as fashion, architecture, and the medical field. 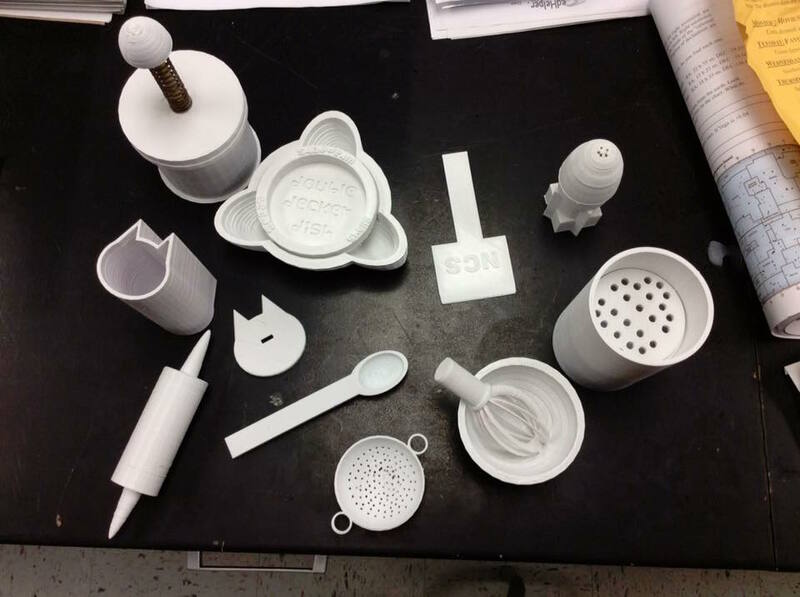 This presentation is rich with information and real world examples to increase knowledge and interest in 3D printing for field trip participants. Field trips are a two-hour experience intended for groups no larger than 25. We prefer the youth to be fourth grade and above, but are open to exploring options for younger children. The youth should be comfortable using a computer and able to work somewhat independently. Thanks to generous donors, we are able to offer a limited number of field trip opportunities free of charge to Baltimore-area public schools. If you are a Baltimore-area public educator interested in scheduling a field trip, act now because spots fill up quickly! Don’t delay – schedule your field trip today! When we found out we were selected as a Perpetual Innovation Fund recipient with the Digital Harbor Foundation initiative we were blown away. 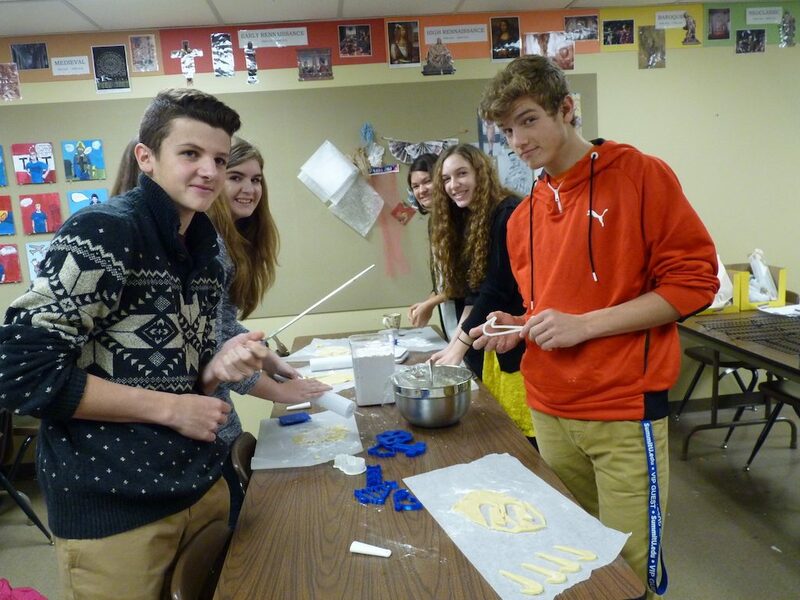 Opportunities like this don’t usually reach small Christian schools. The surrounding community is small and the overall industry in our area doesn’t scream out innovation. The great thing for us, Digital Harbor looked past the barriers and the stigmas, and gave us a chance. To be honest, it has changed the face of creativity in so many students. 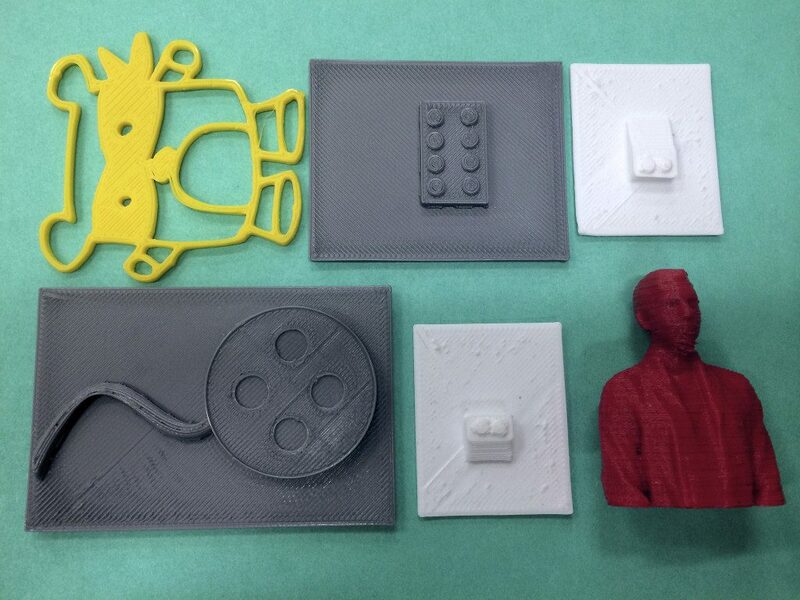 To begin the school year, we began offering 3d design and print classes to 10th-12th grade students. 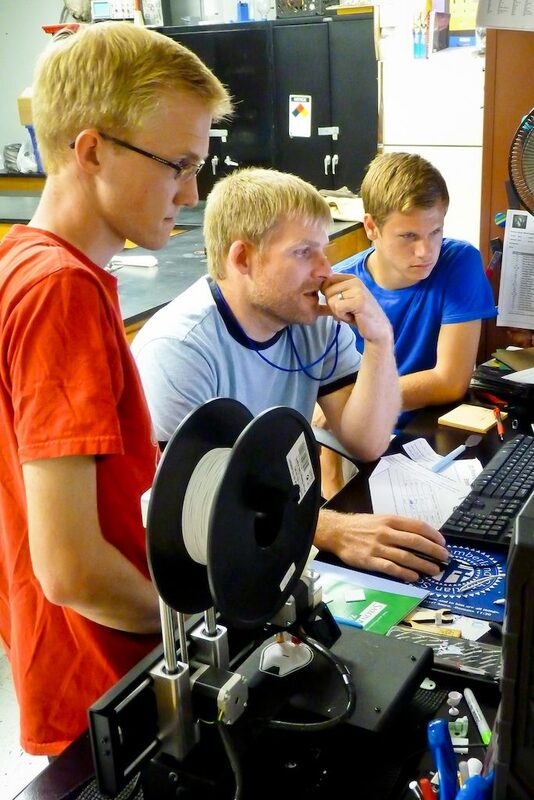 Being we had just one Printrbot Simple, we had to keep the classes small. 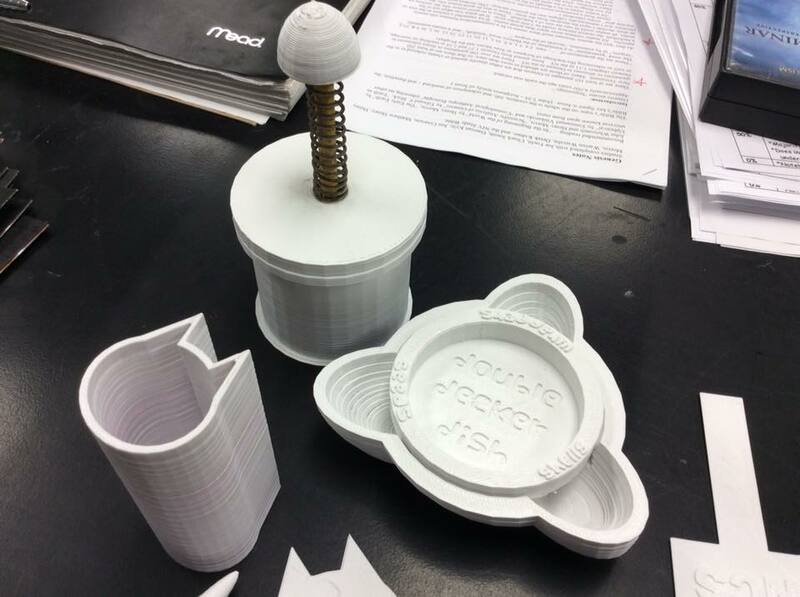 With a group of 4-5 students working on laptops in our science lab/3d printing space, the idea started to come to life. Our students quickly took to the simple lessons of Tinkercad and within two weeks, we were ready for our first challenge. The first challenge was a kitchen challenge. 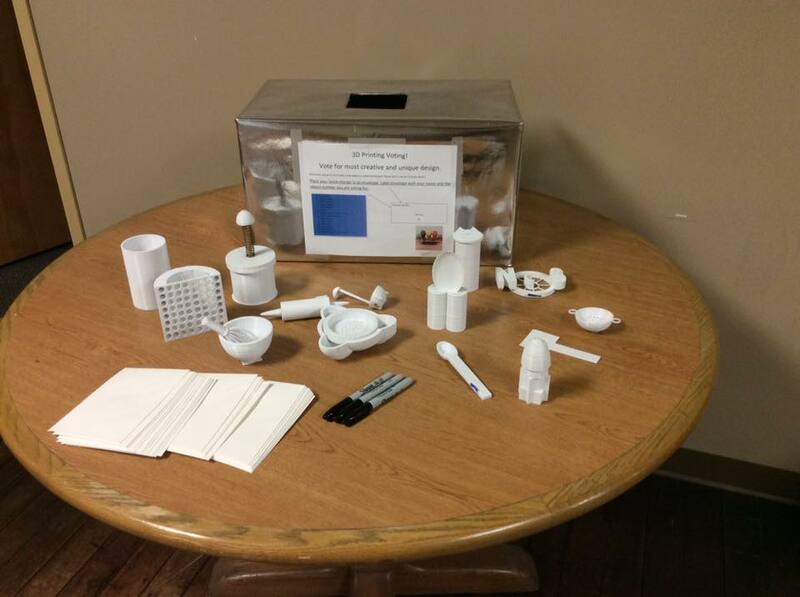 Students were asked to create something that could be used in the kitchen. This would also be our first fundraiser towards the PI Fund. The way we set it up, students could vote on their favorite design by donating their spare change. The contest was also set up so that the winning design would get a portion of the funds. The winning design was created by Juliette K (a new student this year). She created a double-decker dish, which serves the purpose of holding your cherries or seeds, and has a bowl underneath for your pits or shells. Our next idea was to involve the community. We have a great community here at NCS. Many parents are alumni, and the tight knit community really gives way to some cool opportunities. 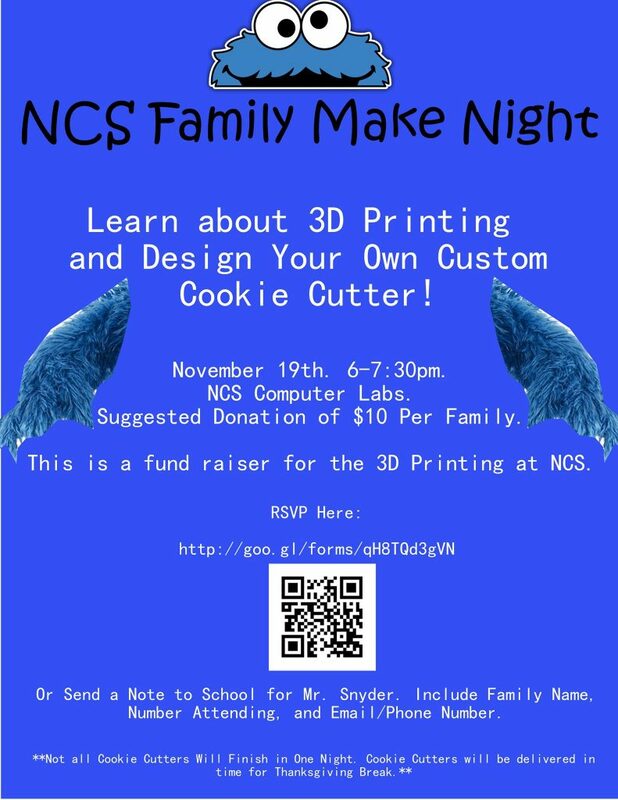 We decided to do our first family make night to introduce everyone to 3d printing, but also add in the cookie cutter concept. 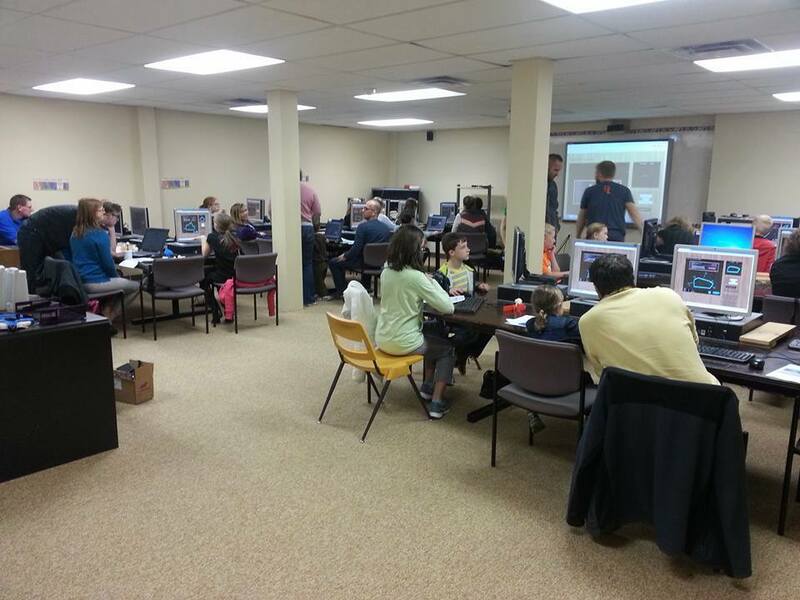 With some student helpers, we ran two computers lab and had a huge turn-out. We had over 50 parents and kids, ranging from kindergarten through high school. The feedback we got was tremendous. Parents and students were amazed at what they could create in such a short time. 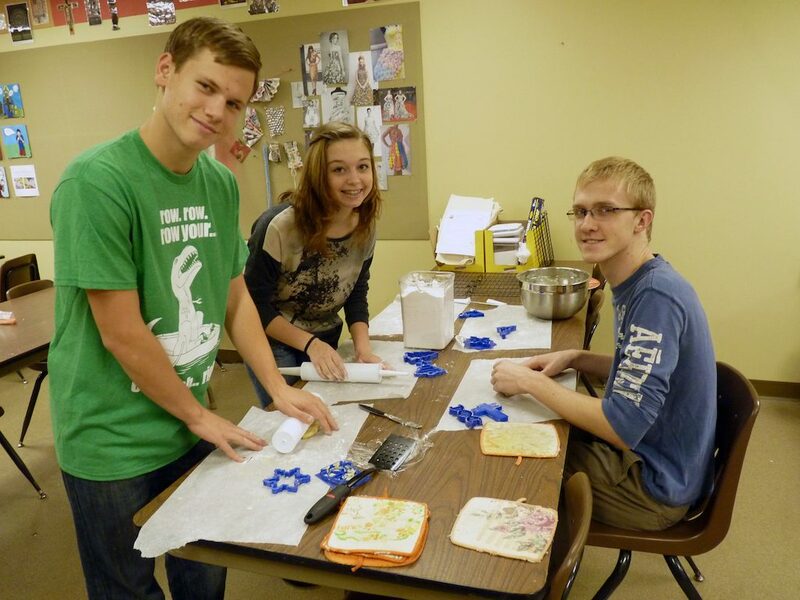 We spent the next two weeks blasting out about thirty-five cookie cutters in time for Thanksgiving break. 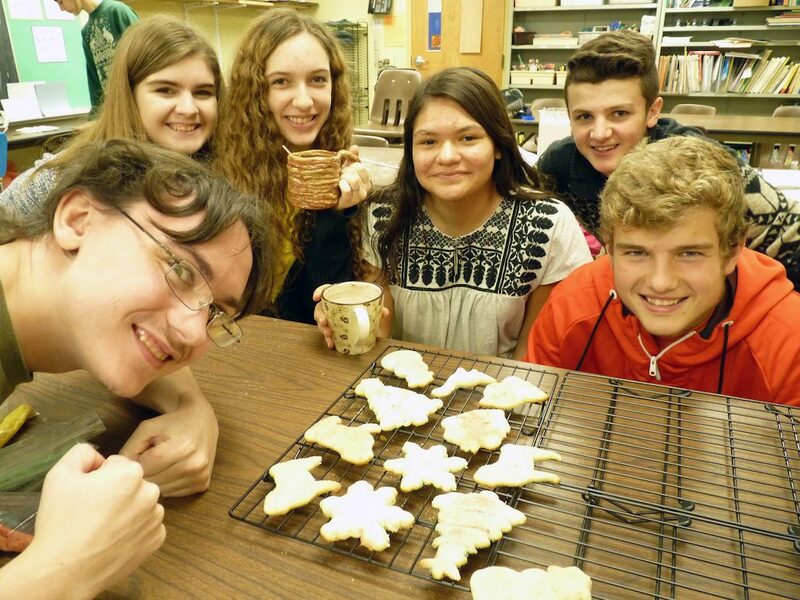 Following the success of the Family Make Night, we did a student contest with cookie cutters. 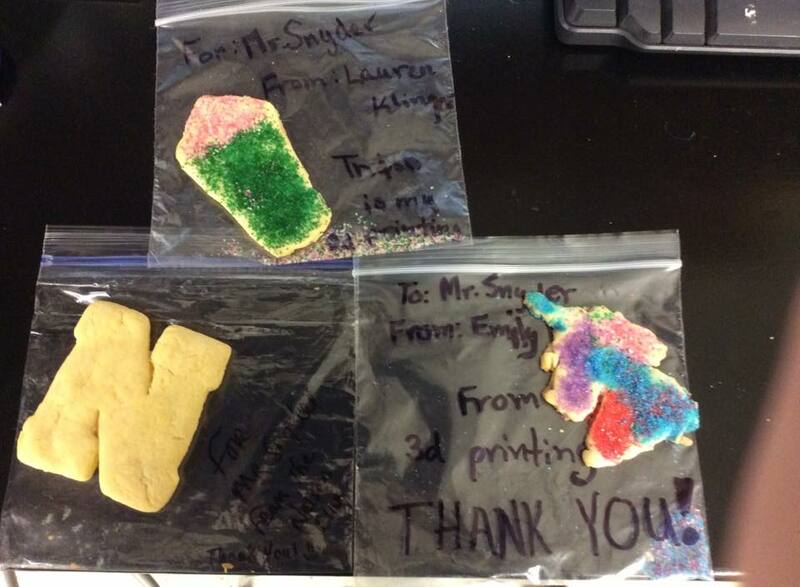 Any student in the school could submit a cookie cutter design for the contest. From the submitted designs, a few were selected as winners. The winning designs were then offered to the entire school community as potential Christmas gifts. The money generated from the sales went into the PI Fund and the winning designs also got a portion of the money raised. The amount of orders were got was overwhelming. We started printing round the clock and even had to use some extra printers at a local youth center. We raised over $300 dollars and were able to give away $50 to the student designers. Currently we have added a second printer here at the school. Because of the success of using our Printrbot Simple, the school agreed to buy a Printrbot Plus. We now have two printers running, and have started using the new printer to design needed items for the school. We have just begun a lettering project involving ProtoPasta’s Carbon Fiber filament. The new printer has also allowed the class size to be increased, and will open the doors for more students next school year. We are also in the middle of a design challenge involving the use of pencils… More to come from us soon! 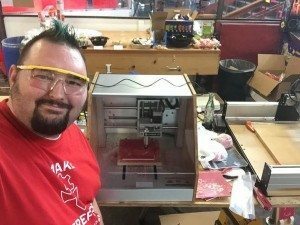 Ian Snyder is a science teacher and 3D printing coach at Northumberland Christian School. He also runs a makerspace at The Refuge. You can follow him on Twitter @ateachr or catch some shots on Instagram at mriansnyder. I am always excited to receive Make magazine in my mailbox but the issue this month was especially exciting for me. In the past, I have equated the feeling of the arrival of Make magazine in my mailbox to Steve Martin waiting for the phone book to arrive in the movie “The Jerk”. Steve’s character starts yelling “The new phone book is here! The new phone book is here!” and he hurriedly thumbs through one to find his name in print for the first time and exclaims “I’m somebody!”. This month’s issue, the Digital Fabrication issue includes not one, but two machine reviews by me. 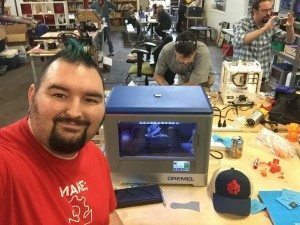 I was invited out by Make’s 3D Printing Editor, Matt Stultz to participate in the DigiFab Shootout, an intensive weekend long testing frenzy of all things digital fabrication (3D Printing, CNC, Laser Cutters, and Vinyl Cutters). 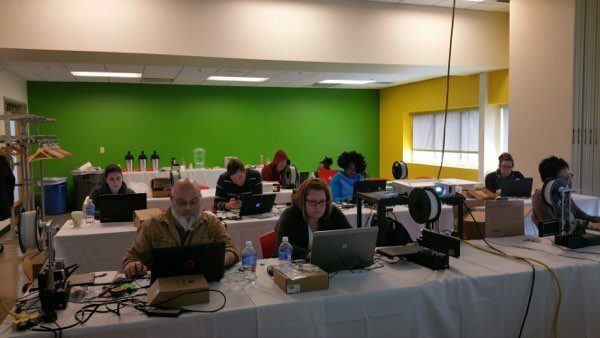 I remember remarking at how many people I recognized in last year’s version and thinking “wow, I know a lot of really cool people!” This year’s cast was another group of digital fabrication subject matter experts and as I looked around the room on our first night of testing, it felt a bit surreal. It was an amazing honor to have been included on the team and to have my expertise recognized by people that I look up to. We worked until midnight almost every night and were up early to get back to testing. There was a wide variety of machines to test and quite a few in each category. This was the first time that Make was testing a range of digital fabrication tools instead of just 3D printers so were working on a very tight timeline. During the testing, it was also very important that we took very detailed notes because once we left the testing space, we had about two weeks to write our review. I was definitely the new guy on the team and I was determined to prove to the whole team that I deserved to be there and that they could count on me to get things done. 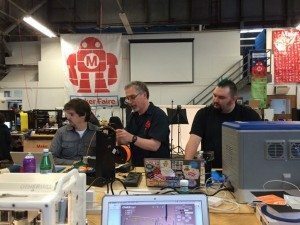 It was important to me to represent DHF as a place of talented makers who can hold their own among some of the best makers in the world (yep, one guy came all the way from France to be part of the testing team). With the arrival of my issue, I was anxious to see where the printers fell in the rankings. 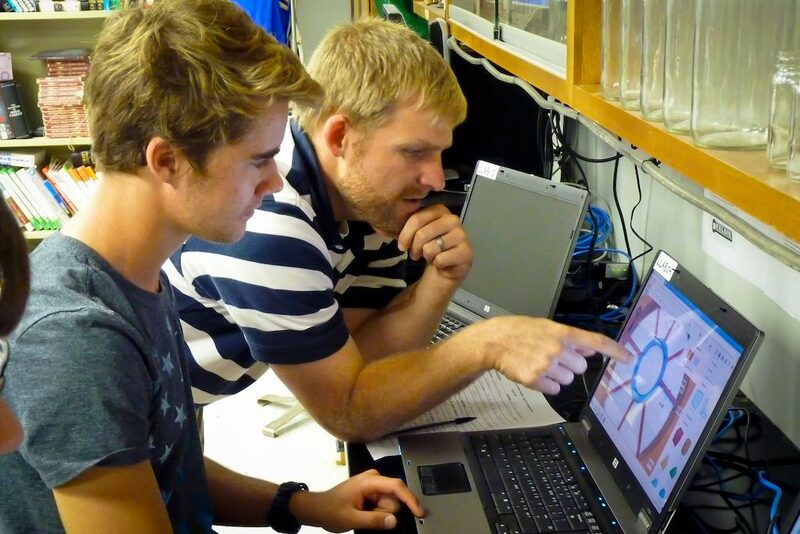 You see, the testers provided anonymous samples to another team that analyzed the results without knowing which machine they came from so that there was as little bias as possible. We were even encouraged to change the color of filament for as many prints as possible so that even that wasn’t a clue. I am not surprised to find Printrbot winning so many awards and it reaffirms all the recommendations I make for them. Are there better printers out there? Yes, I’m still drooling for an Ultimaker. But there is no better printer at that price point in my opinion (or even much higher). The return on your investment is high and the machines are very hackable but also just work. There are still going to be hiccups, but I find the hiccups much more tolerable at that price point. Hiccups still happen with more expensive printers too (sometimes even more) and when you are spending $1,000+, it gets really frustrating especially because they are generally more expensive to fix and repair. Being on the DigiFab Shootout team was an amazing experience and it was so valuable to be surrounded by all that talent and expertise. We worked very hard that weekend and we had a lot of fun doing it. The team at Make did a great job putting this all together and a hat tip goes out to Matt Stultz for his effort herding all of us cats. My mind is already reeling on which of our DHF youth will be the first to be published in the magazine, and there are more than a few candidates. Announcing the First Winners of the DHF Perpetual Innovation Fund Prize! We are excited to announce the first winners of the DHF Perpetual Innovation Fund Prize, an initiative we launched in January 2014 to provide a free 3D printer and training to educators who plan to start a 3D printing youth enterprise at their school. 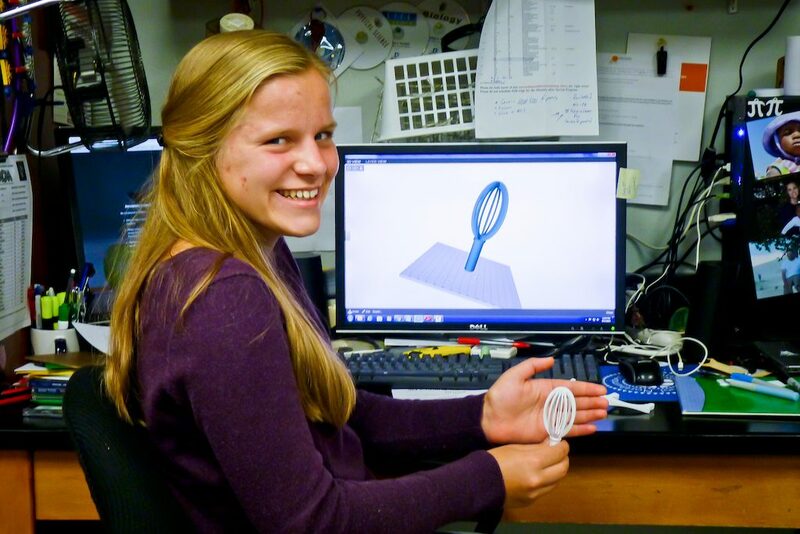 Each educator-led youth enterprise that receives funding commits to paying forward a portion of the profits from the 3D printed objects they sell, so that another youth enterprise can also benefit! We received applications from across the country – from rural New York to California – and these winners stood out as strong passionate applicants who are teaching 21st century job skills to students! In addition, we are also very excited to announce that Scott Dellosso of Perryville Middle School, the first educator to receive funding from the Perpetual Innovation Fund in a pilot program, had already paid-forward the entirety of his Perpetual Innovation Fund Investment! 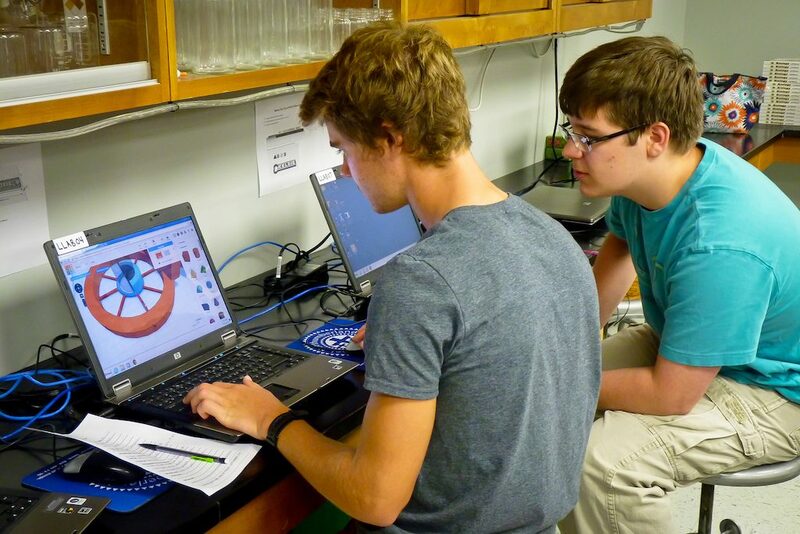 We literally believe that 3D printers can pay for themselves, and are excited to see youth enterprises like Perryville already putting that belief into action! The Perpetual Innovation Fund is made possible thanks to the R.W. Deutsch Foundation and their seed support. Applications are now open for the second round of the Perpetual Innovation Fund Prize, which will be open until May 15, 2015.